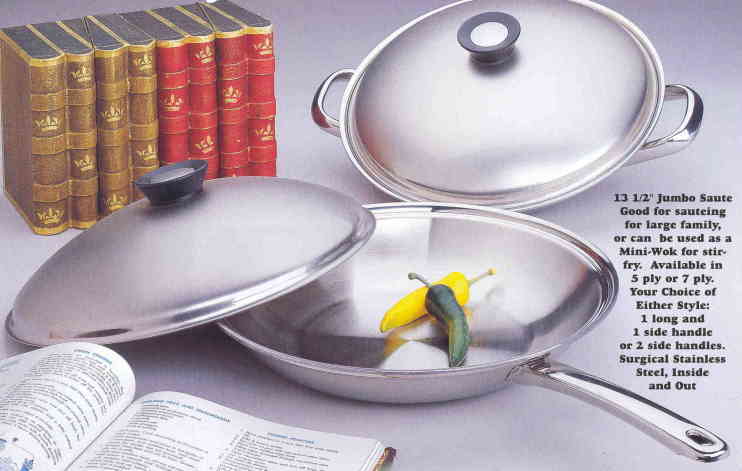 All sets include a hard cover cookbook. 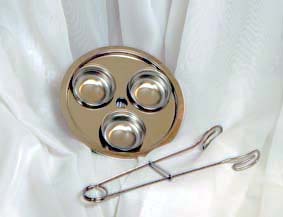 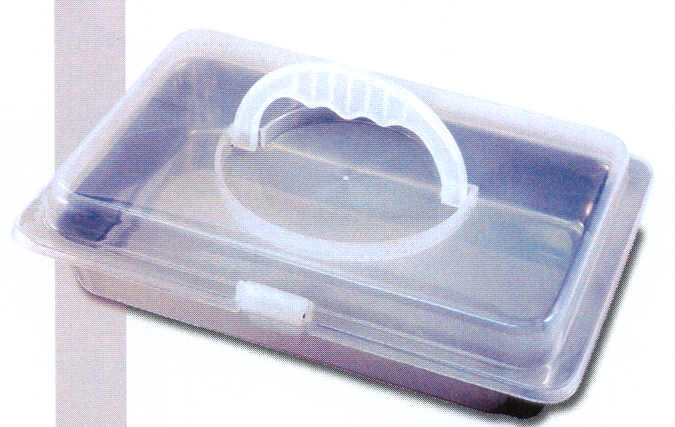 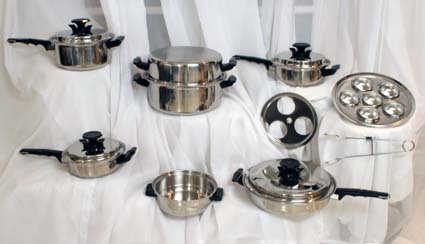 Sets can be ordered with the Whistle Vent knobs or the origional Steam Vents. 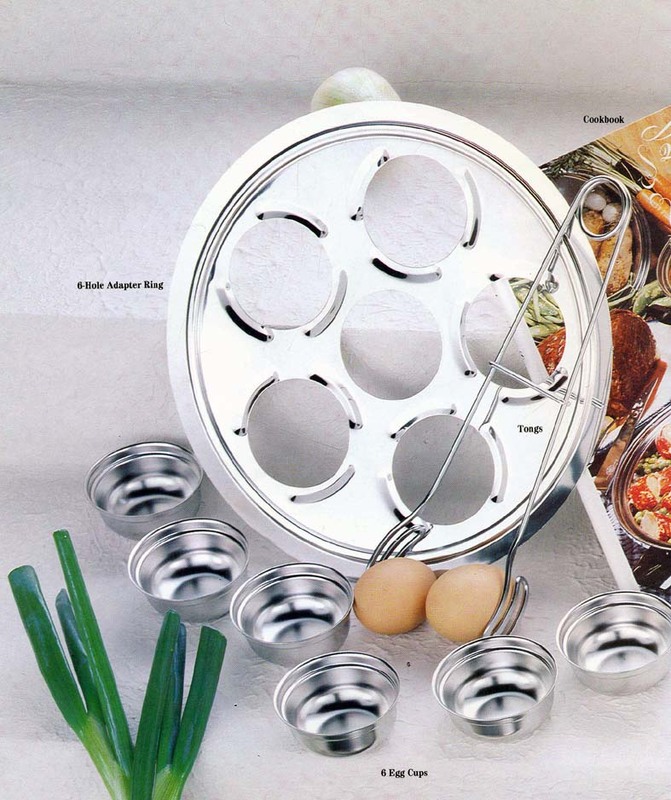 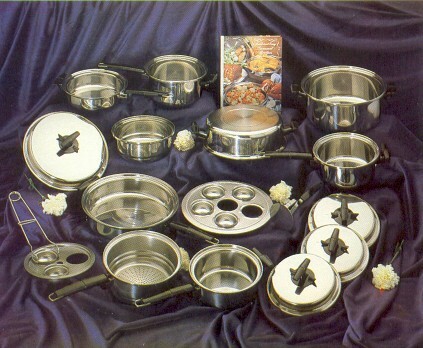 This 19 piece set is the same as the 11 piece but includes your steamer egg poacher rack, 3 hole poaching rack, egg cups and tongs. 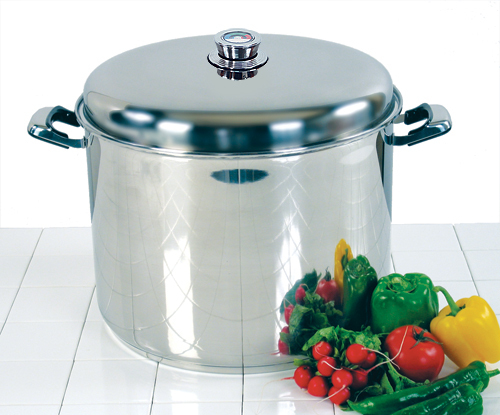 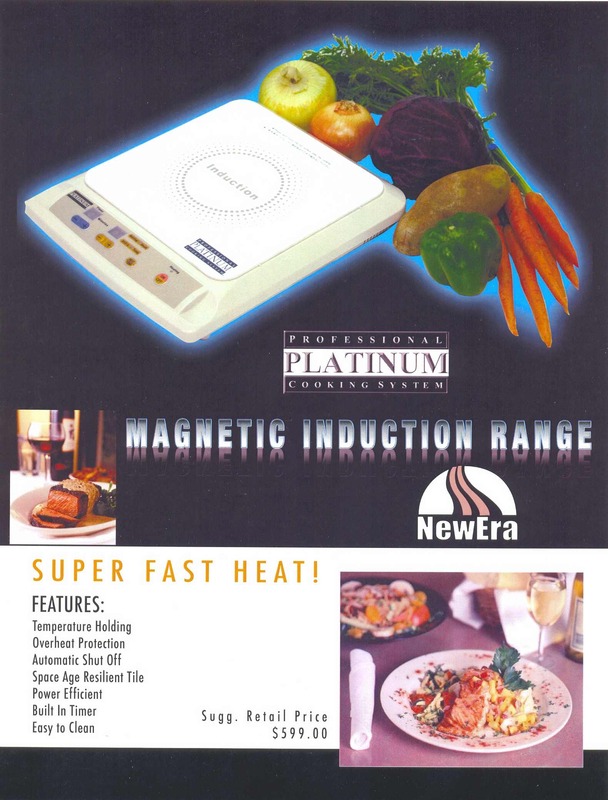 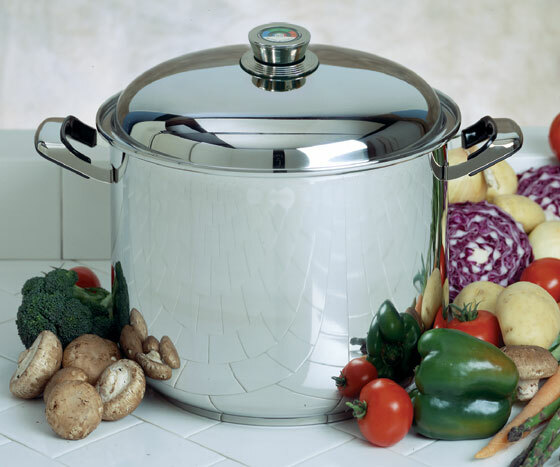 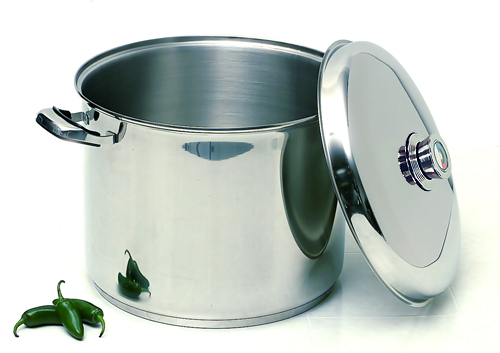 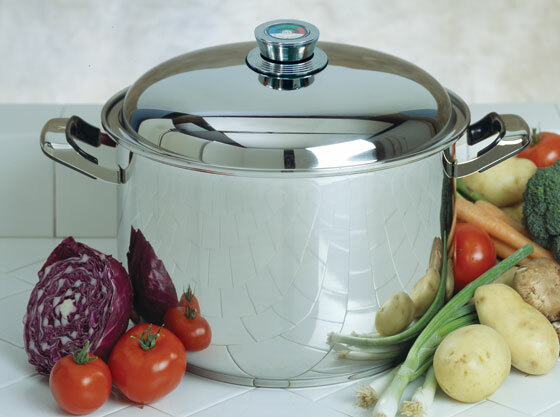 With Vacumatic cookware the vapor surrounding your vegetables never reach the boiling point, thus preserving all the natural goodness and vitamins of your vegetables. 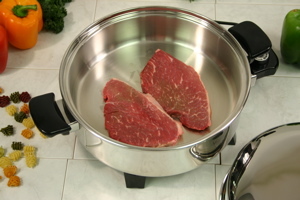 All your meats are cooked without the oils and butter. 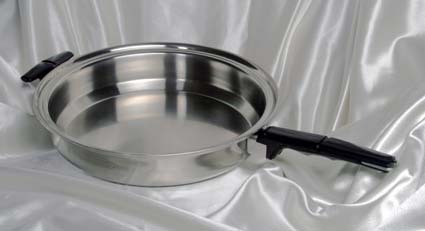 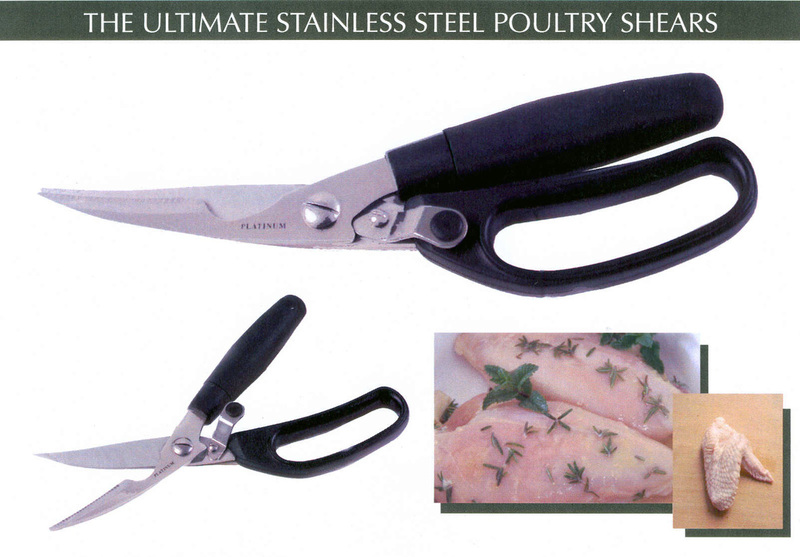 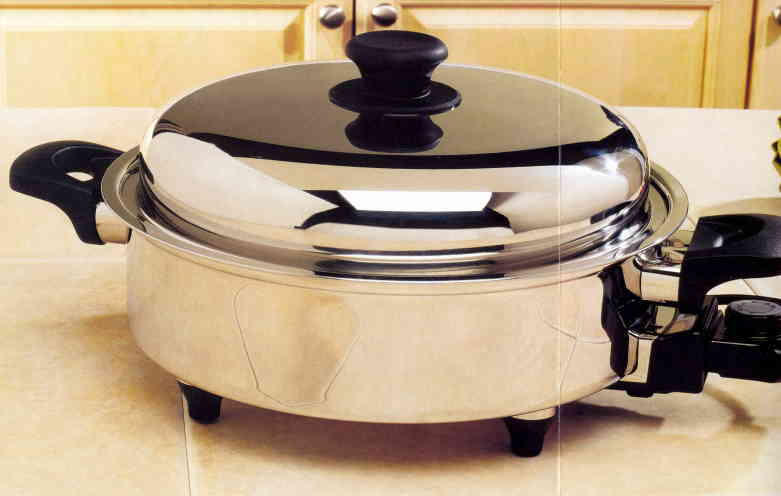 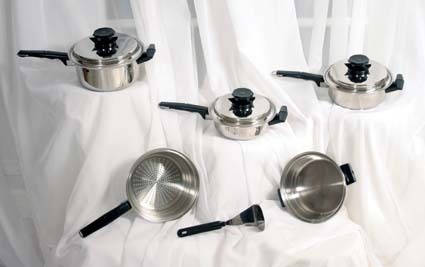 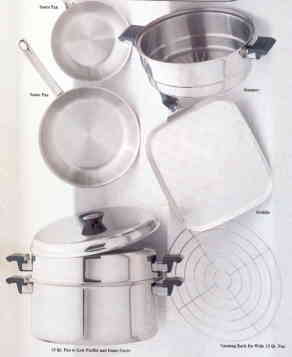 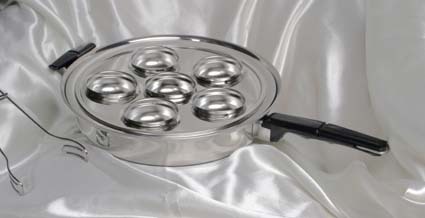 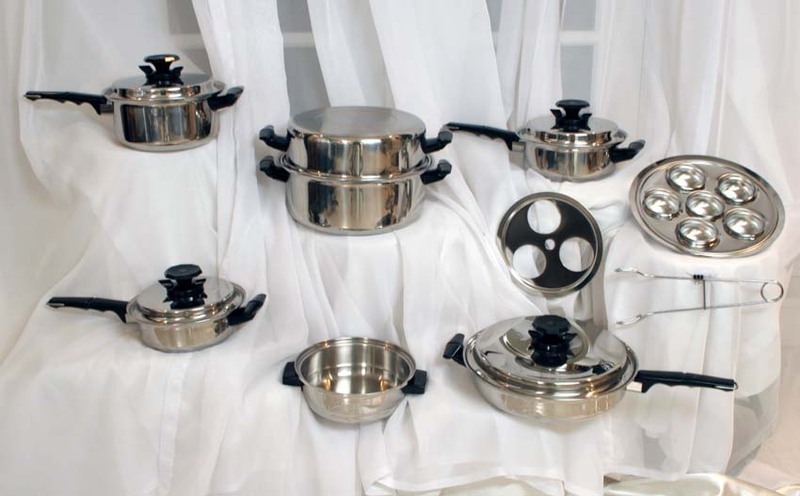 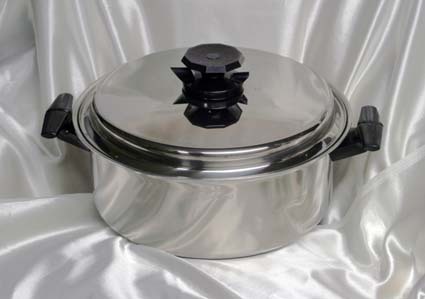 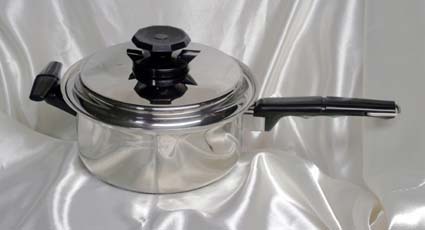 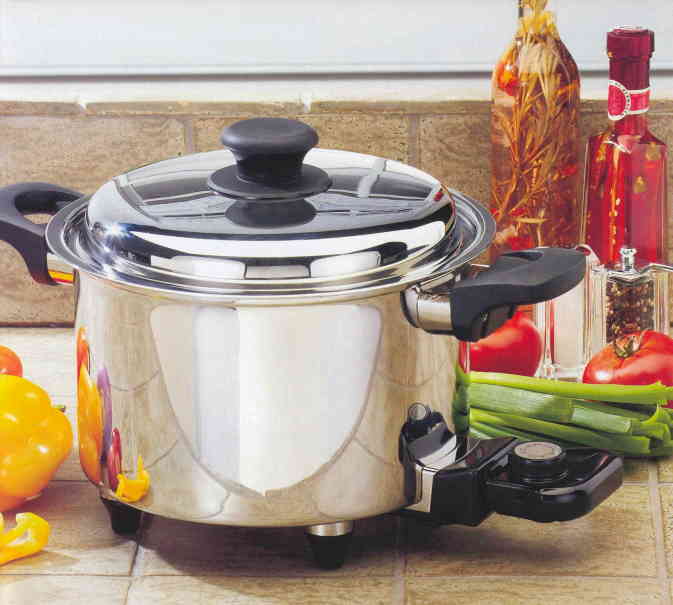 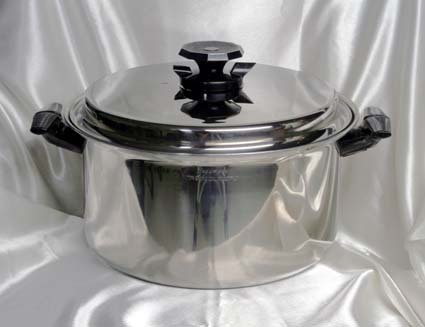 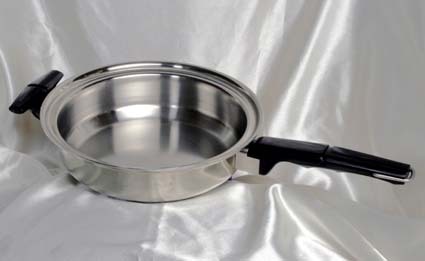 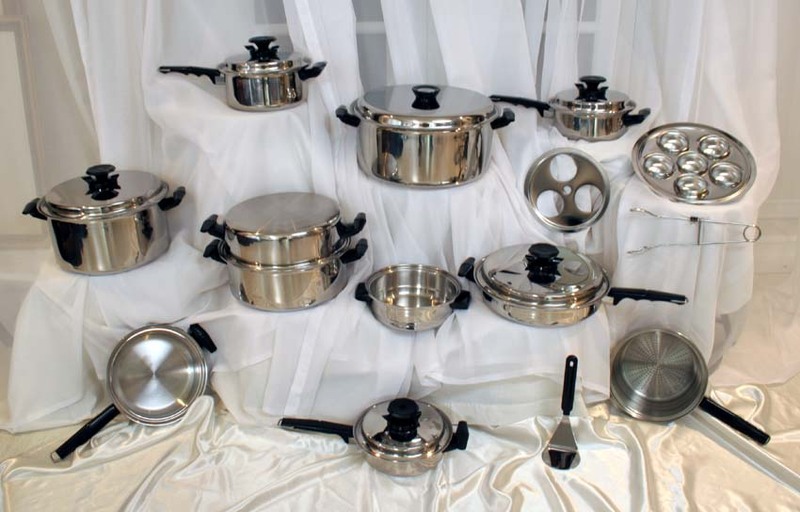 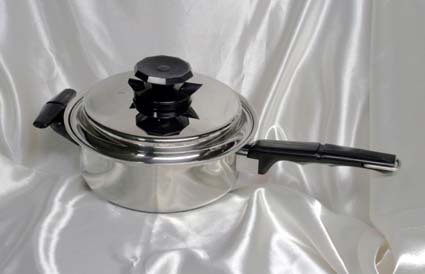 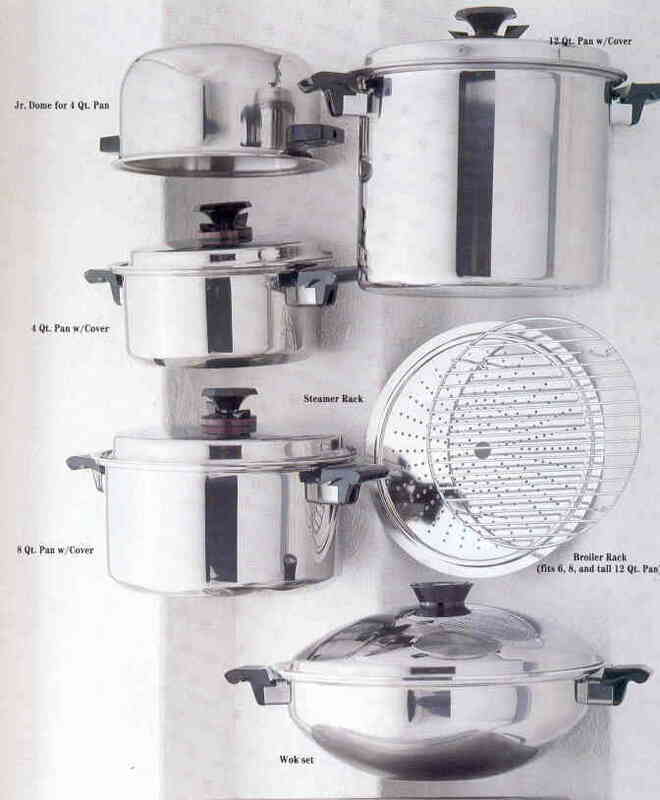 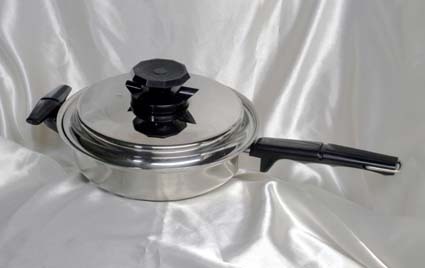 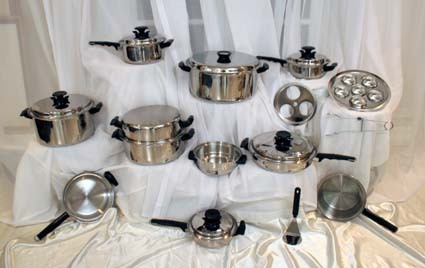 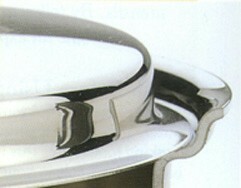 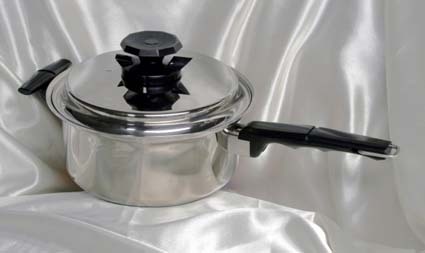 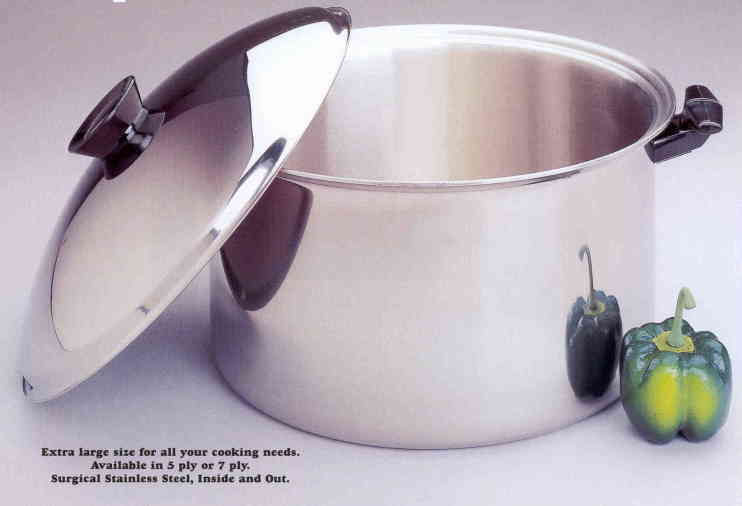 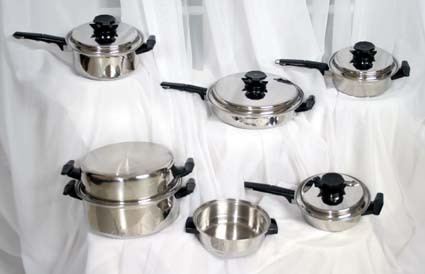 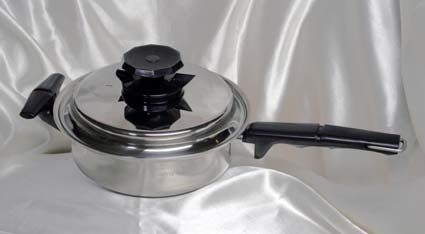 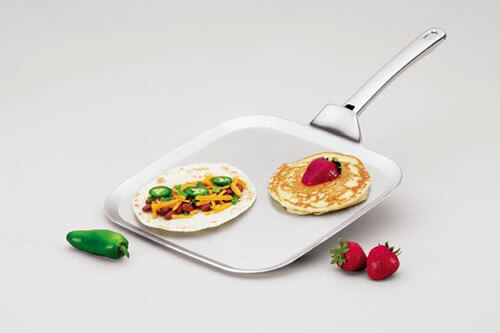 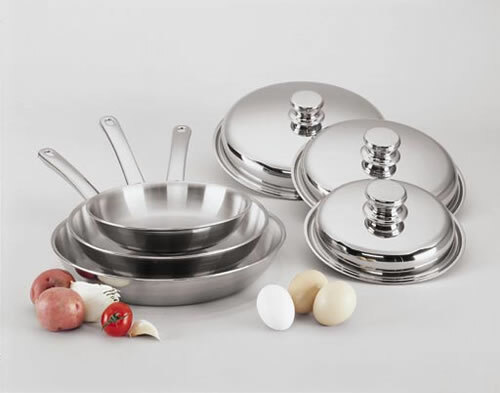 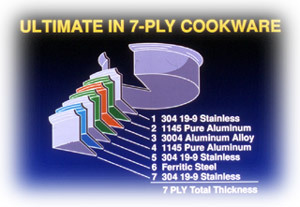 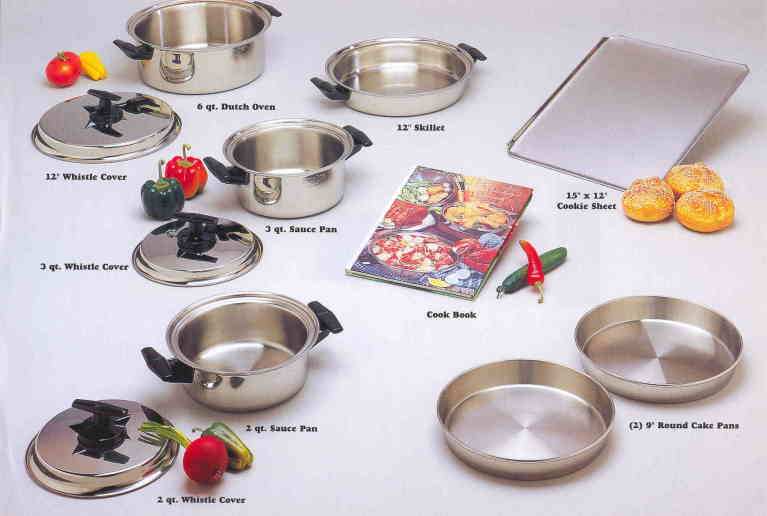 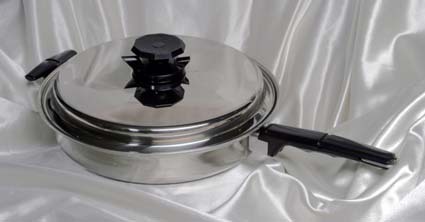 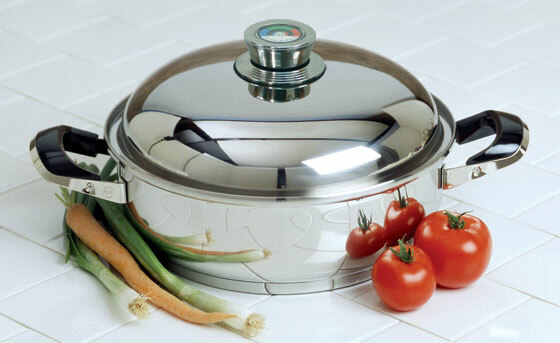 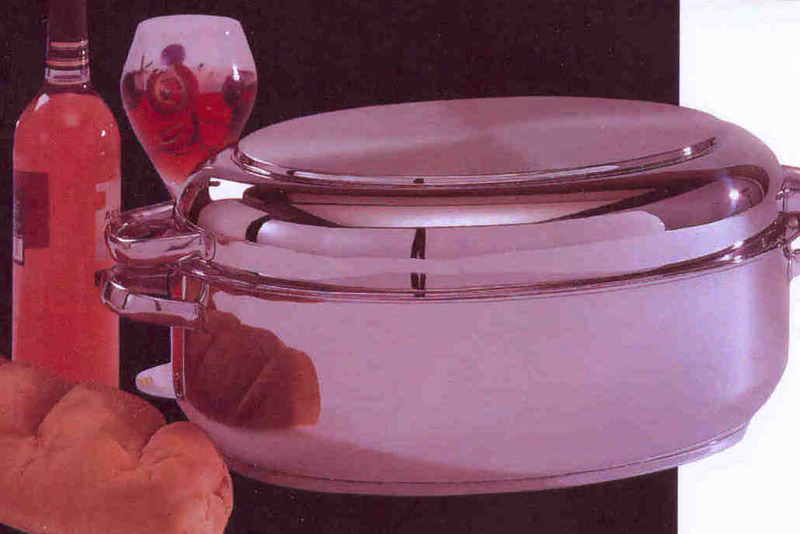 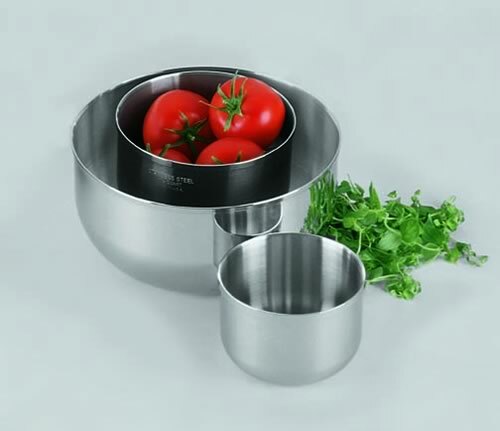 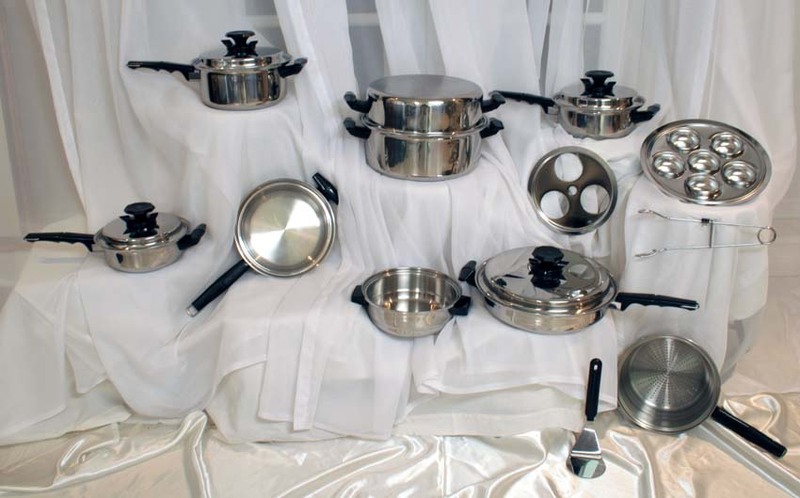 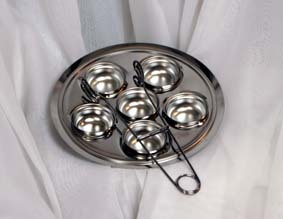 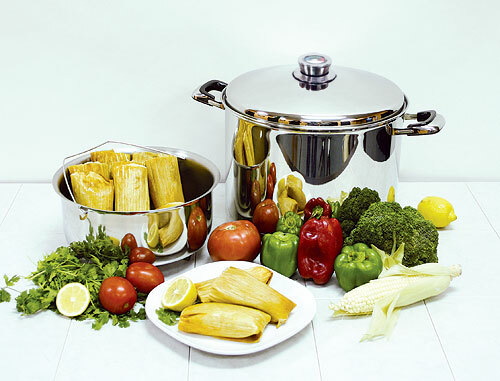 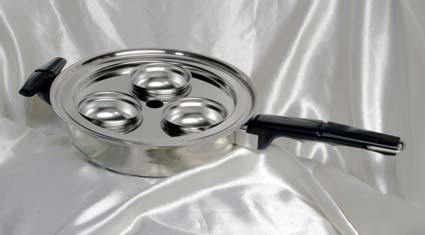 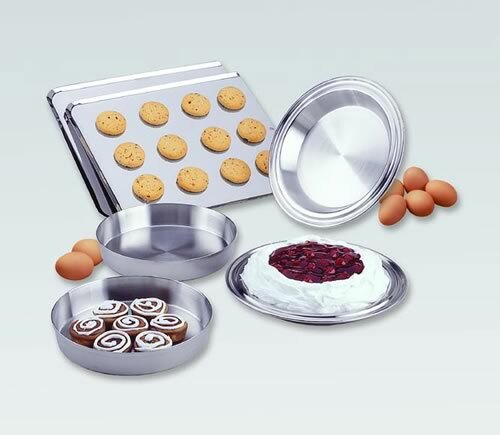 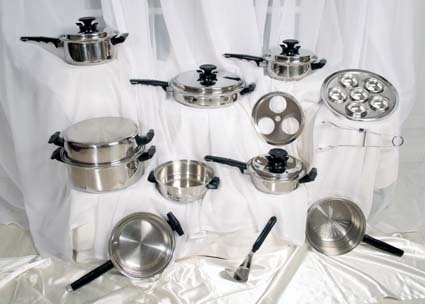 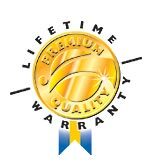 Cooking the healthy greaseless way is only possible with expensive quality surgical steel waterless cookware. 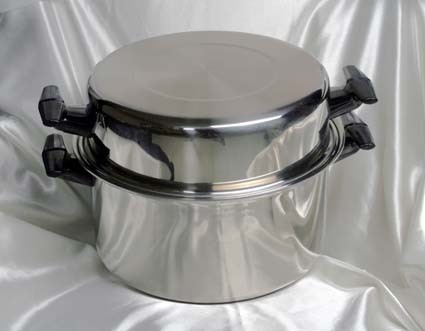 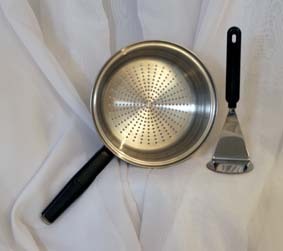 This 304 7-ply surgical steel with titanium cookware has only ever been made available to you from factory direct distributors. 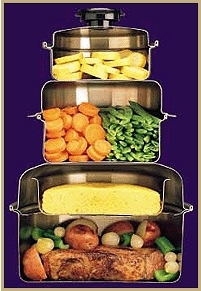 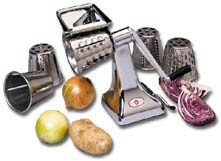 Cooks vegetables with 3 oz. 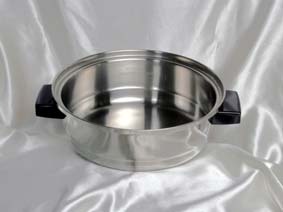 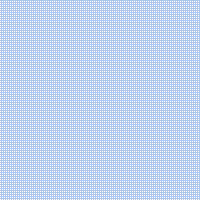 of water and 5 mnutes of heat.